John Harley Saiz, left, holds the burned-out metallic balloons from the Long Beach blast with members of his crew, from left to right, Ricardo Herrero, James Yolla and Brandon Copp. Lineman James Yolla and Brandon Copp work on the Long Beach power pole repair before the nearby metallic balloons made their job unsafe. This is what remains of the metallic balloons in Long Beach that left 3,056 homes and businesses without power — some for more than 10 hours. Keeping metallic balloons tied to decorative weights like these, as required by state law, would go a long way toward reducing the record 1,094 balloon outages SCE suffered last year. When disposing of metallic balloons, they should always be punctured to keep them from unsafely floating away. Amid record outages, the popular gifts should always be tied down and never released to avoid power disruptions and explosive situations. … it could have been much worse. People and workers could have been too close and seriously injured. In fact, a utility crew had been working on the power pole where these balloons eventually exploded last July in Long Beach before an astute foreman ordered them to stop work and, along with the ground crew, move a safe distance away. 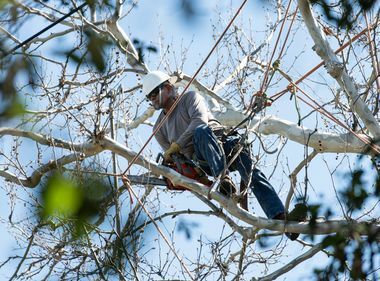 Fortunately, that helped prevent any injuries, but it could not prevent the prolonged power outage that left 3,056 homes and businesses without electricity at 10:40 that Tuesday morning. Extensive repair work restored all power at 8:52 that night. 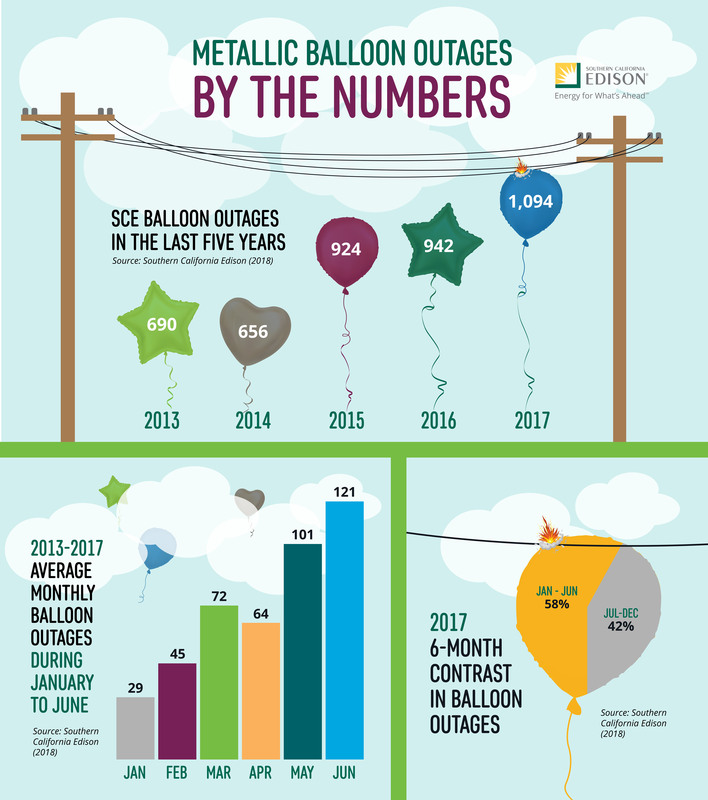 It is a situation that plays out hundreds of times a year because of adrift metallic balloons, and February typically marks the onset of a dramatic increase in outages caused by them that peaks in June. And the worst part? It’s easily avoidable. 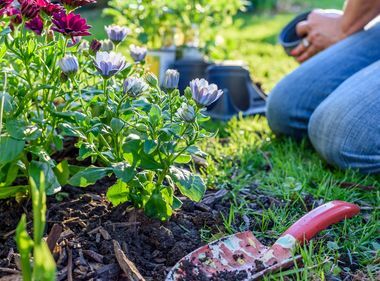 That, however, is easier said than done since Southern California Edison experienced for the third straight year a record number of metallic-balloon-caused power outages with 1,094 last year. A new bill has been introduced in the California Assembly to combat the problem. 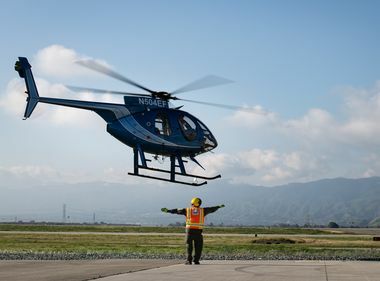 Two metallic balloons were to blame in Long Beach, where lineman James Yolla and apprentice Brandon Copp from Hampton Tedder Electric, an SCE contractor, were doing repairs on a pole when crew foreman, John Harley Saiz, noticed an unusual sound. Seeking out its source, Saiz walked a short distance and saw the balloons tangled in power lines — about 50 feet from the on-the-pole linemen. Thinking safety first, Saiz had Yolla and Copp immediately climb down, made sure his workers and any other people were not in danger and called for an SCE troubleman to de-energize the lines to safely remove the balloons. But, the balloons didn’t cooperate. “Shortly after, maybe 10 to 15 minutes, [the balloons] worked their way to the pole we were working on and then the explosion occurred,” said Saiz, calling it the worst balloon incident he has experienced in his 20 years on electrical crews. 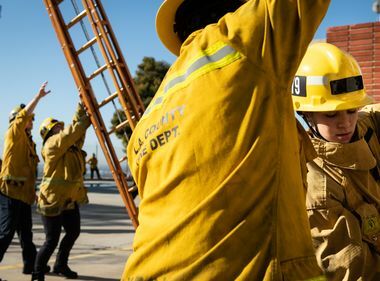 The blast engulfed the top 10 feet of the pole — including where the linemen had been working — and resulted in two downed power lines. A pole that Saiz’s crew, with the help of another Hampton Tedder crew, ended up replacing as part of the overall repair work in restoring power that went into the night. Which only reinforces Saiz’s long-held thoughts on their release. Do not try to retrieve balloons tangled in power lines.